Sri Lanka’s Victoria Lake is a reservoir in the Mahaweli river valley in the northeastern highlands. 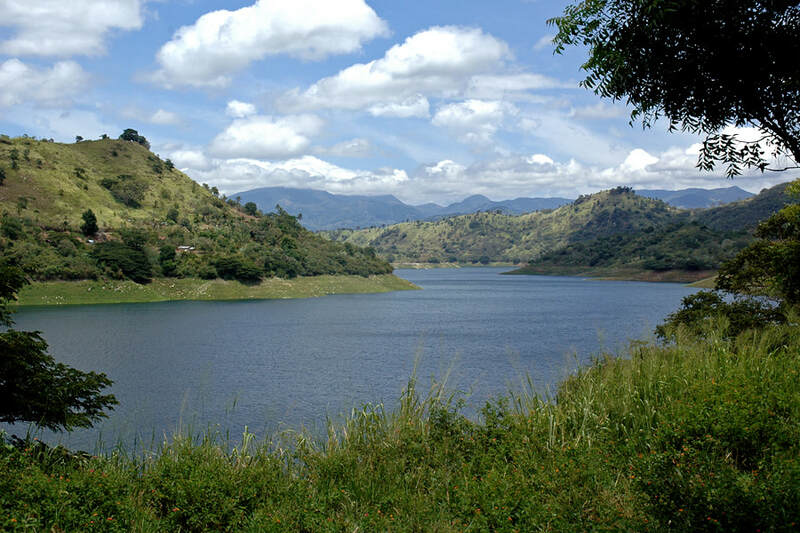 It is part of the Mahaweli hydropower scheme. the construction of the dam began in 1978 and completed 1985. Many vilages and also Sri Lanka’s Victoria Falls, once the mightiest waterfalls of the island, disappeared below the water surface of the new lake, which is quite ramified, with several crests. The dam, which is the tallest in Sri Lanka, can be visited, but takeing photos is not allowed. A small museum at the visitors center informs about both the importance of hydroelectricity in Sri Lanka and the contribution of the Mahaweli project to new irrigation schemes.